How was your weekend? I hope you got lots of rest. This week is one of those weird ones where one month ends and another begins. Let those words play over and over again in your heart as you face this week and its challenges head on. 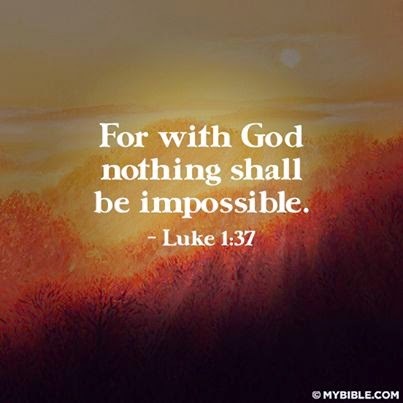 There is absolutely nothing impossible with God. Have a blessed week and Happy New Month in advance!